The need to maintain a high quality of life against a backdrop of its inevitably increasing duration is one of the main problems of modern health care. The concept of "right drug to the right patient at the right time", which at first was bearing the name "personalized", is currently unanimously approved by international scientific community as "precision medicine". Precision medicine takes all the individual characteristics into account: genes diversity, environment, lifestyles, and even bacterial microflora and also involves the use of the latest technological developments, which serves to ensure that each patient gets assistance fitting his state best. In the United States, Canada and France national precision medicine programs have already been submitted and implemented. The aim of this review is to describe the dynamic integration of precision medicine methods into routine medical practice and life of modern society. The new paradigm prospects description are complemented by figures, proving the already achieved success in the application of precise methods for example, the targeted therapy of cancer. All in all, the presence of real-life examples, proving the regularity of transition to a new paradigm, and a wide range of technical and diagnostic capabilities available and constantly evolving make the all-round transition to precision medicine almost inevitable. Kira V. Raskina – MD, PhD Student, Chair of Endocrinology. Eugenia Yu. Martynova – MD, PhD Student, Chair of Endocrinology. Andrey V. Perfilyev – MD, Chief Executive Officer. 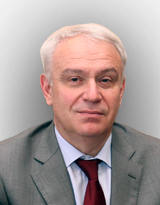 Dmitry A. Sychev - MD, PhD, Professor, Corresponding Member of the Russian Academy of Sciences, Head of Chair of Clinical Pharmacology and Therapeutics. Grigoriy N. Shuev - MD, PhD Student, Chair of Clinical Pharmacology and Therapeutics. Ildus R. Fatkhutdinov - MD, Chief Medical Officer. Sergey V. Musienko - Chief Executive Officer. Dmitry A. Nikogosov MD, Head of Analytics Department. Irina O. Zhegulina MD, Geneticist. Larisa G. Bavykina MD, Endocrinologist, Geneticist. 1. Emmert-Streib F. Personalized medicine: Has it started yet? A reconstruction of the early history. Front Genet. 2013;3:1-4. 2. Genetic Science Learning Center. What is Precision Medicine? Available at: http://learn.genetics.utah.edu/content/precision/intro/. Checked by Feb 10, 2017. 3. The Precision Medicine Initiative. The White House, Statements & Releases (2016). Available at: https://www.whitehouse.gov/precision-medicine. Checked by Feb 10, 2017. 4. Singer D.R.J., Zair Z.M. Clinical Perspectives on Targeting Therapies for Personalized Medicine. Adv Protein Chem Struct Biol. 2016;102:79-114. 5. Juengst E., McGowan M.L., Fishman J.R., Settersten R. From “Personalized” to “Precision” Medicine: The Ethical and Social Implications of Rhetorical Reform in Genomic Medicine. Hastings Cent Rep. 2016;46(5):21-33. 6. Vinks A. Therapeutic Optimization as Part of the Precision Medicine Paradigm. Clin Pharmacol Ther. 2016;99(4):340-2. 7. Bonham V.L., Callier S.L., Royal C.D. Will Precision Medicine Move Us beyond Race? N Engl J Med. 2016;374(21):2003-5. 8. Interlandi J. The Paradox of Precision Medicine. Sci Am. 2016;314(4):24-5. 9. Joyner M.J., Paneth N. Seven Questions for Personalized Medicine. JAMA. 2015;55905:2015-6. 10. Reardon S. Obama to seek $215 million for precision-medicine plan. Nature. 2015:1-2. 11. Merieux F. Presentation of the French Plan for Genomic Medicine 2025 | Newsroom | Inserm. (2016). Available at: http://presse.inserm.fr/en/presentation-of-the-french-plan-for-genomic-medicine-2025/24328/. Checked by Feb 10, 2017. 12. France Plans to Invest €670M in Genomics, Personalized Medicine. Genome Web (2016). Available at: https://www.genomeweb.com/clinical-translational/france-plans-invest-670m-genomics-personalized-medicine. Checked by Feb 10, 2017. 13. French plans for a genomic healthcare future. Genomics Educ Program (2016). Available at: https://www.genomicseducation.hee.nhs.uk/news/item/266-french-plans-for-a-genomic-healthcare-future. Checked by Feb 10, 2017. 14. Cullis P., Huntsman D., Mcmanus B., et al. Personalized Medicine Initiative Canada (2016). Available at: http://personalizedmedicineinitiative.ca/. Checked by Feb 10, 2017. 15. Cullis P., Drohan J., Fraser R. Roadmap for Bringing Personalized Medicine to British Columbians Summit Partners. Available at: http://www.pwc.com/ca/en/healthcare/publications/pwc-personalizedmedicine-summit-green-paper-2015-06-en.pdf. Checked by Feb 10, 2017. 16. U.S. Food and Drug Administration. Paving the Way for Personalized Medicine Paving the Way for Personalized Medicine. Per Med. 2013:5-11. 17. Spear B.B., Heath-Chiozzi M., Huff J. Clinical application of pharmacogenetics. Trends Mol Med. 2001;7(5):201-4. 18. Personalized Medicine Coalition. More than 20 percent of the Novel New Drugs Approved by FDA’s Center for Drug Evaluation and Research in 2014 are Personalized Medicines (2014). Available at: http://www.personalizedmedicinecoalition.org/Userfiles/PMC-Corporate/file/fda-approvals-personalized-medicine-2014_adjusted.pdf. Checked by Feb 10, 2017. 19. U.S. Food and Drug Administration. Table of Pharmacogenomic Biomarkers in Drug Labeling. Available at: http://www.fda.gov/Drugs/Scienceresearch/Researchareas/Pharmacogenetics/Ucm083378Htm. 2015:1-14. doi:08/18/2014. Checked by Feb 10, 2017. 20. Druker B.J., Guilhot F., O’Brien S.G., et al. Five-year follow-up of patients receiving imatinib for chronic myeloid leukemia. N Engl J Med. 2006;355(23):2408-17. 21. Sychev D.A. Recommendations for the use of pharmacogenetic testing in clinical practice. Kachestvennaya Klinicheskaya Praktika. 2011; 1: 3-10. (In Russ.) [Сычев Д.А. Рекомендации по применению фармакогенетического тестирования в клинической практике. Качественная Клиническая Практика. 2011;1:3-10]. 22. Personalized Medicine Coalition. U.S. Public Opinion about Personalized Medicine Survey Shows Public Optimism about Personalized Medicine (2013). Available at: http://personalizedmedicinecoalition.org/Userfiles/PMC-Corporate/file/us_public_opinion_about_personalized_medicine.pdf. Checked by Feb 10, 2017. 23. Personalized medicine by the numbers Prominent examples of personalized medicine drugs, treatments and diagnostics products available (2014). Available at:http://www.personalizedmedicinecoalition.org/Userfiles/PMC-Corporate/file/pmc_personalized_medicine_by_the_numbers.pdf. Checked by Feb 10, 2017. 24. Loria K. The history of medicine will seem blunt and random compared with what’s coming next. Bus Insid. (2015). Available at: http://www.businessinsider.com/what-the-precision-medicine-initiativewill-do-2015-5. Checked by Feb 10, 2017.